The Circuit Check Signature Series pneumatically actuated test fixtures known as PDs for Pneumatic Drive offer smooth controlled actuation for as many as 8000 test points. The PD’s controlled operation allows test pad sizes of .016” to be reliably accessed. The 5th generation PD is a testament to its versatility and reliability, as it has been a proven product for 40 years and can support over a million cycles. 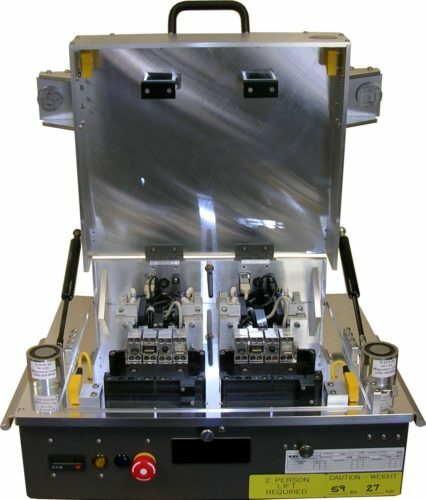 Circuit Check PDs can be configured for in-circuit test or as a functional test fixture. 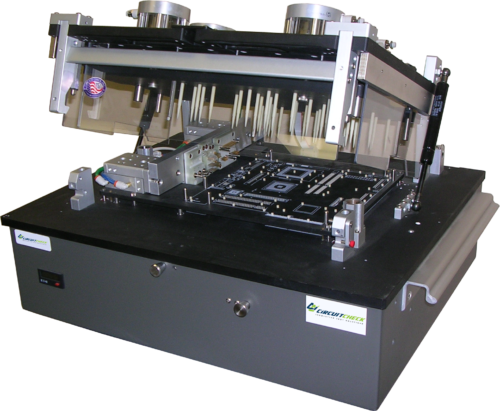 Circuit Check inventories sizes for circuit boards up to 26″ x 18″, with custom PDs fabricated upon request.